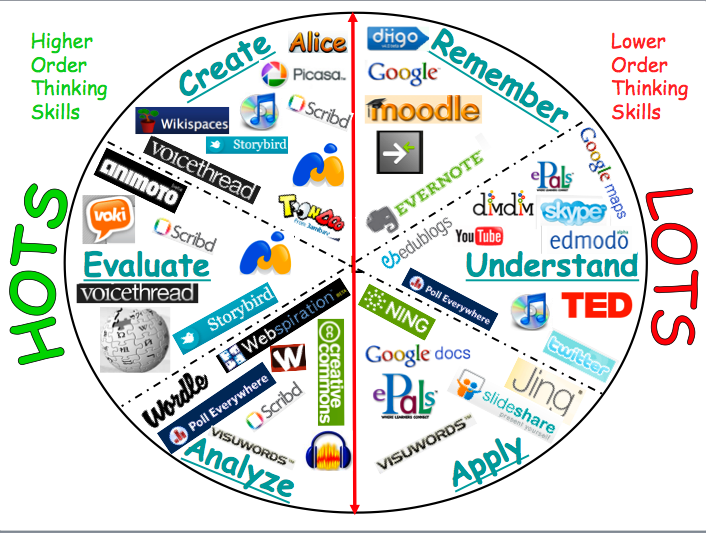 What digital tools support the rigorous and relevant work we want students to engage in? 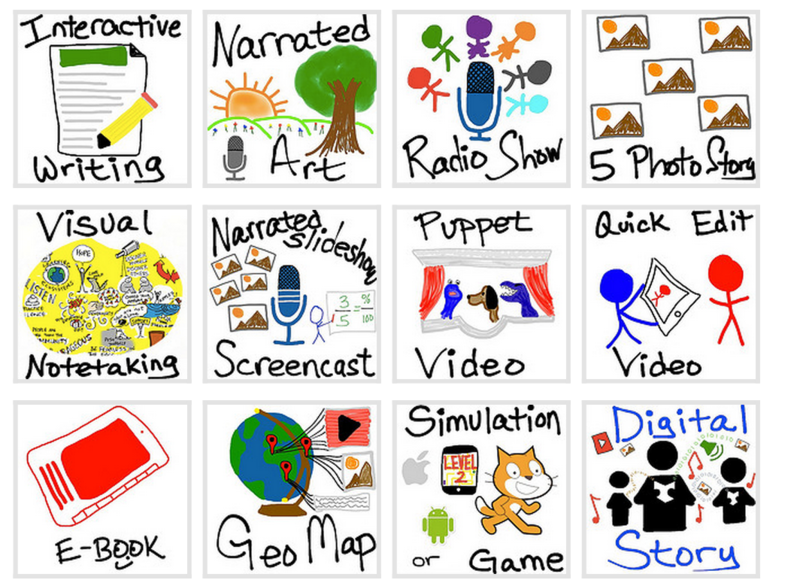 What digital tools support student choice about how to demonstrate their mastery of what they have learned? What digital tools give students a voice so that they are not just publishing their work for an audience of one (teacher), but an audience of many (their class, their school, their community, the world)? Do I have visual (electronic or otherwise) materials that will illustrate my points while I am discussing them? Is there an opportunity for me to lecture less and assign discussions, debates, or presentations? Is there an active learning exercise or group project that I can use to include my students in the learning process that allows them to come to their own conclusions? Is there an opportunity to showcase student work online or offline so that I can give them an audience? Are there short, online videos that I can integrate into my presentations? How can I demonstrate that this information is relevant to the outside world? Are any of the authentic student writing tasks and projects appropriate for the content, context, and cognitive rigor of what I am teaching? Use Ed Shelf to search for the perfect digital tool that matches your students' authentic tasks and products needs. iPads in an elementary school. Let's Have Students "Show What They Know Using Mobile and Web Apps"
Click here to read the blog post about this infographic by Tony Vincent for digital resources and apps that students can use to demonstrate their learning. Be sure to read all the way to the bottom of the post to see what resources he has updated since his first post in October 2013. You can also download and print the infographic. Science students at Smithfield Middle School are taking ownership of their learning and driving instruction through the use of Padlet. Read the article here. Provide your students with an enriching writing environment where they can compose, collaborate and share their writing projects with peers, teachers and family. Encourage real-time discussion and extend learning beyond the classroom through using Edmodo as a backchannel. Create a global classroom where you can invite students from other parts of the world to meet your students and develop language skills, communicational skills, skills of initiative, problem solving, self awareness and working collaboratively in teams. Maintain a communicational channel with parents and keep them updated on the classroom activities throughout the whole year. Create book clubs where students can get to develop their reading and writing skills. Create a teacher lounge where teachers from your school can discuss ideas and share content. Create a group for your class and use it to communicate upcoming assignments, quizzes, tests, due dates, class events, announcements and many more. Create alumni groups where students can keep in touch and stay connected with each other.